The SEED Fort Wayne Enterprise Center is a small business incubator which provides industrial and professional office space.The Center can house 10 manufacturing and 13 front office tenants in its 50,000 square feet facility at substantially below market rates to assist startup businesses. Spaces range from 100 to 7,500 square feet. The Center is located at 1830 Wayne Trace, Fort Wayne, IN 46803 which is near the central business district. 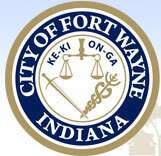 Tenants have easy access to Fort Wayne's major streets and highways. Because the Center is in the Summit City Entrepreneur and Enterprise District (SEED), tenants may qualify for tax savings. The combination of tax savings and low overhead allows Enterprise Center startup businesses to grow faster.